Ecclesall Kids Club is committed to providing equality of opportunity and anti-discriminatory practice for all children and families. We aim to provide a positive and nurturing learning environment free from prejudice, discrimination and fear, in which all children and their families feel accepted, respected and valued. We aim to Recognise that all children are different and aim to identify how best to support each participant and family during all of our sessions. We value the contributions that all participants and their families can bring. We actively promote anti-discriminatory practice to build an inclusive environment where every participant can fulfil their potential. As a team we continually reflect on our practice and increase our knowledge around equality issues. We provide an inclusive environment recognising that as individuals, children and adults alike all require some form of support. However, we recognise that for some this may be specific and sometimes require the help of outside agencies. We adhere to relevant legislation to ensure equality in the service we provide. Ecclesall Kids Club strives to find the best candidate for every job vacancy regardless of race, religion, home language, family background, gender or disability and/or learning difficulty. All positions are advertised in the local community, all applicants are assessed against the same criteria. Each position is offered to the applicant who best meets the criteria for the position. Ecclesall Kids Club work with children, so all staff are required to undertake an Enhanced Disclosure and Barring Service check (DBS Check). 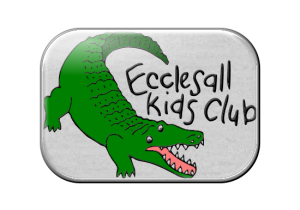 Ecclesall Kids Club is committed to the fair treatment of its staff, volunteers, students, participants and users of its services, regardless of race, gender, religion, sexual orientation, responsibilities for dependants, age or physical/mental disability. All staff members have knowledge of our Equality and Diversity Policy and share the responsibility of ensuring that we provide a fully inclusive service for all participates and their parents/carers and families. They recognise the importance of their role in promoting equality and challenging discrimination. We seek out ongoing training/professional development opportunities for staff to enable them to keep up to date with new developments, current research and appropriate practice. We aim to provide a secure environment in which all participants can flourish and in which all contributions are valued. Where possible we provide resources that give a balanced view of the world. We encourage children through play equipment and activities that explore, acknowledge and value similarities and differences between themselves and others. Our physical resources take into account children’s size, height and physical needs, e.g. we have child-sized tables and chairs and sinks at their level as well as using the correct size toys and equipment for the appropriate ages of all participants attending our sessions. Our premises maximise accessibility as far as is possible within the constraints of the school buildings. We are on one level and we have access to a lift to outside play areas. All staff members share the responsibility of ensuring that we provide a fully inclusive service for participants and their parents/carers and families. When starting at any of Ecclesall Kids Club breakfast and after school care all children under the age of 5 years are appointed a Key Person who will be responsible for helping them reach their potential during their time under the Early Years Foundation Stage Planning. We will identify and aim to provide additional resources and support for individual children, where needed. We aim to be fully aware of special arrangements that may be necessary to ensure that children with disabilities, learning difficulties or additional needs are fully included in all activities planned for children. We aim to include and value the contribution of all families to increase our understanding of equality and diversity. We ensure that our parents/carers have access to our Equality and Diversity policy by making it available on our website. We value the contribution that parents can make to the setting and aim to make all parents feel welcome. We will challenge inappropriate attitudes and practices by engaging children and adults in discussion, by displaying positive images of race and disability, and through our staff modelling anti-discriminatory behaviour at all times. Appropriate action is taken wherever discriminatory behaviour, language or attitudes occur. The Manager and Play Supervisors are our SEN leads. Our Play Supervisors will liaise with the parent and school SENCOs with prior parental permission to enable us to support a child. Works with Manager to ensure that the appropriate resource is in place should we receive SNIPs or other funding for 1:1 keywork care. All Leaders are trained and experienced in the care of our children with special educational needs or physical disabilities and advise other staff on supporting our children with additional needs or physical disabilities. Where appropriate meet with a child’s parents alongside the manager to discuss how best we can support their SEN child, child who has disabilities or additional needs to ensure they have a participative and inclusive experience at our club and settle well. Ensure all staff have the relevant information to best support any child with additional needs in our setting via staff meetings/supervision for key workers etc. Keyworkers have a particular role in supporting a child with additional needs and will be given support from their Leaders and additional training where appropriate.